Fraxel® Dual is proven to help with fine lines and wrinkles, pigmentation changes from the sun, acne, scarring and sun-induced redness. This laser, named the Fraxel® Dual, encompasses a dual platform that holds two lasers in one. The 1550 setting is a deeper, more aggressive setting addressing the scarring and wrinkles while the 1927 is designed to address the pigmentation. Both options are available and customized treatment plans are the best solution. While Fraxel® Dual is a great non-surgical option, it does come with some expected downtime depending on the aggressiveness of the treatment. Downtime can fluctuate anywhere between three and seven days. Prior to your first Fraxel® Dual appointment you must stop the use of retinols, glycolic and salicylic acids, and minimize sun exposure. We will take before pictures in order to track results over the treatment period. Complimentary consultations are a part of the service at ReFINERY. Suji Park-Idler, MD is certified to perform Fraxel treatments and would be the only one that would complete this laser service. ReFINERY is a wonderful place to visit, with relaxation room and personal service. Your Fraxel treatment would be no different. You would enjoy the robe and slippers. Once your topical anesthetic is applied you relax and wait for one hour prior to the procedure. The results of treatment are both immediate and progressive. Soon after the treatment, the surface of your skin will feel softer, look brighter and show more even tone. The next 3 to 6 months will bring more improvement as the deeper layers of the skin continue to heal. Results can last for years depending on your age and skin condition. 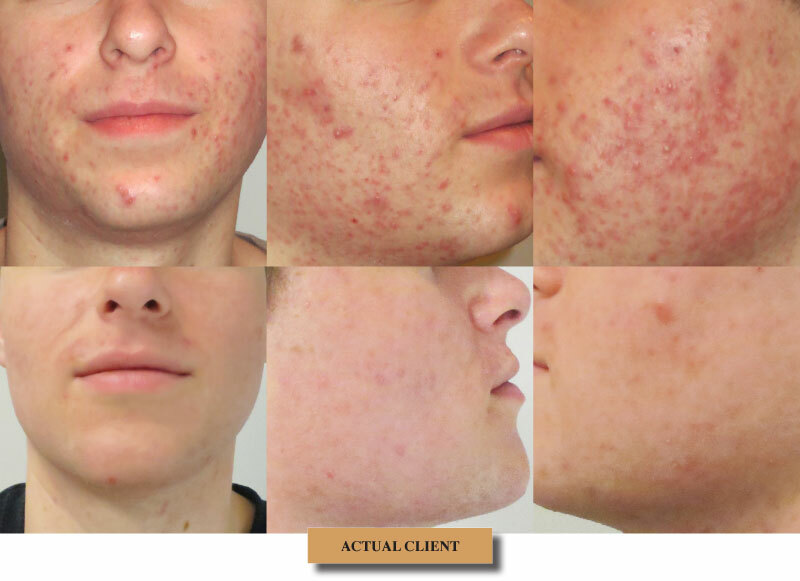 Fraxel Dual has been proven time and again in clinical studies. 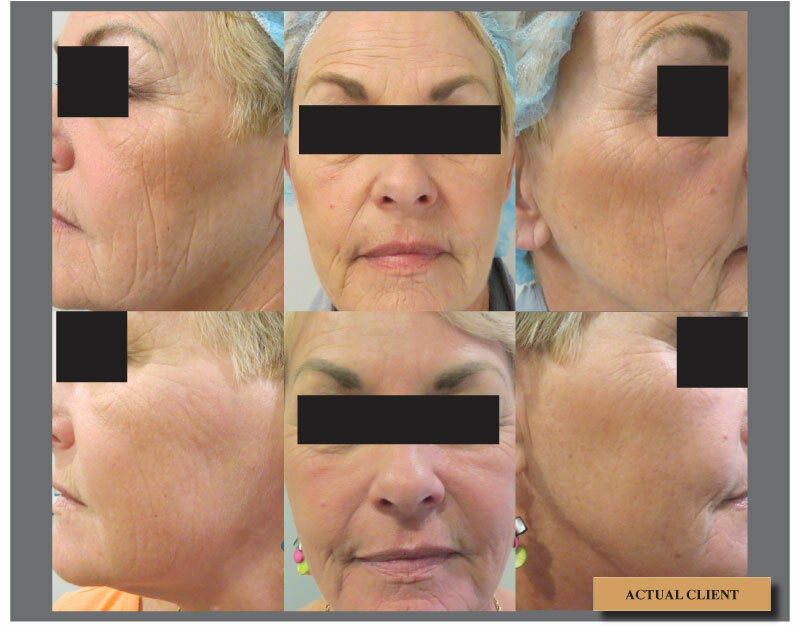 For even better results consider adding to your regimen the Neocutis Post Procedure Kit. At present it is $100 and has a value of $250. It gives you all the best products from Neocutis that include growth factors to encourage healing in a package to take care of your new skin. Fraxel Dual pricing depends on the area you’re having treated and the number of treatments you need for your desired results. We encourage you to come in for a consultation. Full area (such as face, decollete or forearms) $950. Small areas (such as hands or neck) $500. Depending on the size, location and condition of the area to be treated, Fraxel® Dual treatment can take as little as 20 minutes. However, we ask that you reserve 2 hours for your appointment as patients have numbing cream applied prior to treatment and recover after the treatment. Most patients describe sensation of heat during the treatment. To minimize discomfort, topical anesthetic (it is FDA approved for application to the face) is applied for one hour prior to the procedure. Fraxel® Dual works with your body’s natural skin cells, so results typically take one to three weeks to take effect. What are expected side effects of Fraxel® Dual? Swelling and redness are the most common Fraxel® Dual side effects. Swelling typically lasting a couple of days and redness three to seven days depending on the aggressiveness of treatment. Some patients may experience a bronzed look, mild itching and dryness. How far in between do the Fraxel® Dual treatments have to be? We recommend 4-6 weeks in between sessions to allow for full healing time. Fraxel is the world’s most advanced and trusted skin rejuvenation system. This revolutionary laser can dramatically improve the quality of the skin, with results you can actually see and feel. Fraxel Laser Treatment repairs damaged skin with minimal downtime (we call it social downtime) by promoting fast and natural healing. Restore the healthy skin of your youth and gain a renewed sense of confidence with this safe, non-invasive procedure. Fraxel Laser Treatment is a safe, non-invasive procedure that allows you to rediscover the fresh, healthy skin of your youth. Improve texture tone and pore size. Smooth wrinkles around the eyes and acne scars. Rejuvenate your neck, chest and hands. How does Fraxel treatment work? At your initial consultation, Dr. Suji Park-Idler will determine the best treatment plan for your desired results. 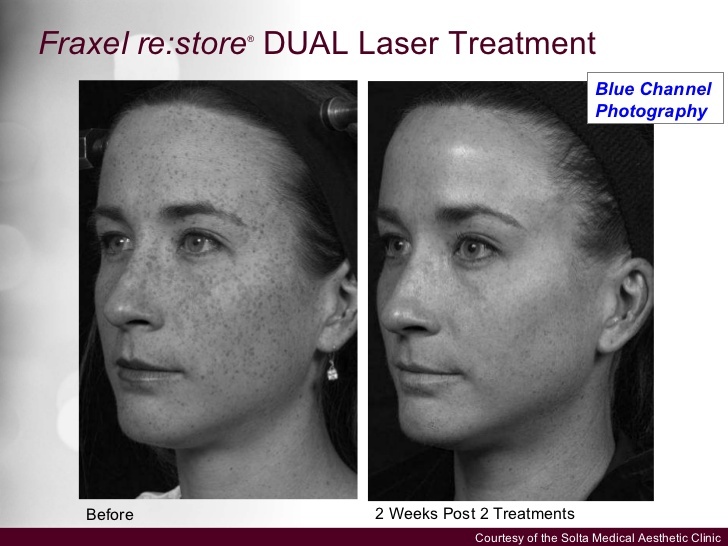 Each Fraxel® Laser Treatment targets between 20 and 25 percent of the skin’s surface. On average, an effective treatment regimen is 3 to 5 sessions, spaced about 2 to 4 weeks apart. Results are immediate and progressive. Optimal improvement is usually visible in about 2 to 3 months. Because Fraxel Laser Treatment spares healthy tissue; it is effective even on delicate skin areas, such as the neck, chest and hands. You will experience a mild sunburn sensation for about an hour and then minimal discomfort. The skin will have a pinkish tone for 5 to 7 days. Swelling is minimal and generally resolves in 2 to 3 days. Some patients are able to return to routine activities, including work and social obligations, the same day of treatment. Others require a little more time, depending upon their skin condition and treatment. Please consult Dr. Park-Idler to understand how Fraxel Laser Treatment will fit into your schedule and what your downtime or social downtime will be. As you age, your skin’s collagen and elastin simply break down faster than your body can rebuild them. The slowed remodeling of these skin-tightening proteins causes your skin to thin, droop and lose elasticity—which often leads to winkles, furrows and fine lines. If you have wrinkles on your face or around your eyes, you’ve probably had a wonderful life, rich with laughter and emotional experiences. After all, expressions like smiling, laughing, pondering and squinting naturally involve the contraction of muscles—which can lead to wrinkles, furrows and fine lines. Age spots are due more to sunning than aging. These spots—also called sunspots, brown spots or liver spots—are flat, uneven dark patches on the face, neck, chest, hands and arms and other areas that are regularly exposed to the sun. Though usually harmless, these blotchy brownish patches can make you look and feel older than you really are. Melasma—which is most common in women and affects about 45 million people worldwide—appears as irregular patches of brown skin on the forehead, cheeks, upper lip and nose. Like most other pigmented lesions, Melasma is not dangerous, but it can be a self-confidence crusher, prompting many women to hide behind a mask of make-up. Melasma is most common during hormonal fluctuations associated with pregnancy, oral contraceptives or hormone replacement therapy. So instead of celebrating the beauty of motherhood, women with Melasma must wear what’s often called “the mask of pregnancy. Although Actinic Keratosis is considered a pre-cancerous condition, it is very treatable. Standard therapies include topical ointments, freezing, surgical excision and Photodynamic Therapy (PDT) . Now physicians are increasingly turning to lasers, such as Fraxel technology, to effectively treat AKs. To resurface your skin and correct imperfections, there are many options from chemical peels to dermabrasion. 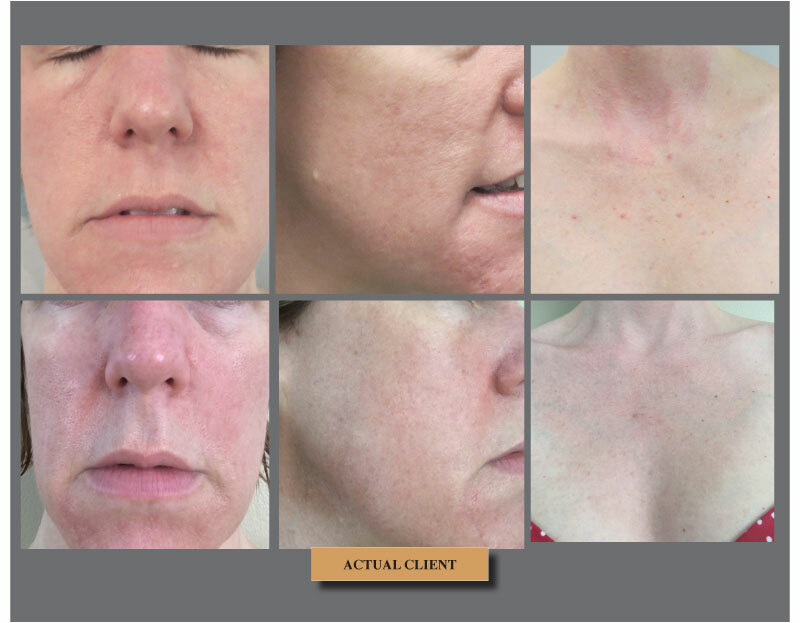 But unlike other remedies that scrape, peel and cut the surface of your skin, Fraxel laser treatment has been cleared by the FDA to safely, gently and effectively resurface your skin from the inside out. That means improved texture, more even tone and smoother skin—all with minimal risks, and without discomfort and prolonged downtime of other procedures. THE SECRET IS OUT, FRAXEL IS IN! In the Media: Celebrities with great skin reveal that Fraxel is a part of their regular beauty routine.